The Toronto Real Estate Board reported 3,865 home sales for the first 14 days of February. This result was up by 11% in comparison to the first two weeks of February 2016, when 3,480 home sales were reported. The strongest annual rate of sales growth was experienced by the condominium apartment market segment, followed by the townhouse and detached segments. Sales were down on a year-over-year basis for semi-detached houses. The decline in semi-detached sales was supply-related rather than demand-related. New listings for the first half of February were down by almost 12% compared to the same period in 2016. With sales up strongly compared to last year and new listings down quite sharply, market conditions appear to have tightened further, with more competition between buyers and continued double-digit growth in average selling prices for all home types. The average selling price for all home types combined was $861,810 during the first two weeks of February 2017, representing a 27.1% increase compared to February 2016. 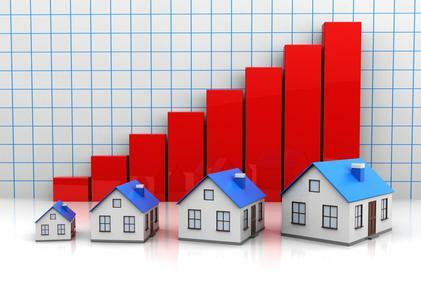 The highest annual average rate of price growth was reported for the detached market segment. The condominium apartment market segment, which has tightened considerably over the past two years, experienced a 17.9% increase in the average selling price.